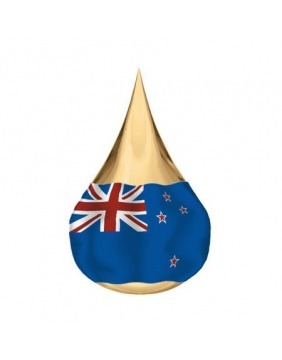 New Zealand boasts some of the finest honey supplies in the world because of its exceptionally pure air, low levels of environmental pollution for beekeeping operations, and its rich flora for the honey bees to gather their nectar. It's also home to the the world renown medihoney, Manuka honey and some of the the most delicious floral varietals on earth. ☛ More details on the various floral varietals of honey from New Zealand, such as Rata and Dandelion in: https://www.benefits-of-honey.com/honey-varieties.html. A Rare Honey with Exceptional Medicinal Qualities! Description: Yes, this is the rare, intriguingly exotic forest honey which many of you have been looking for. 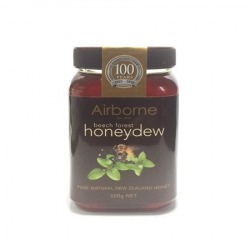 Because it is made from the "dews" the bees collect from the majestic beech forests of New Zealand’s South Island, this honey delicacy is also known as Honeydew honey (NOT the melon!). 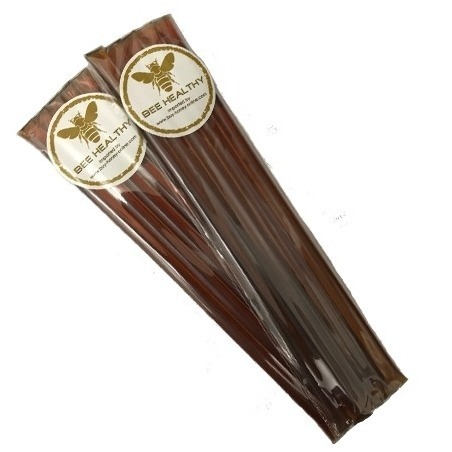 This wild forest honey by Airborne is dark amber in colour, full-bodied and silky smooth and has a distinct aroma of the forests, obvious tangy notes and a lingering exotic, earthy aftertaste. A lovely, delicious honey which every honey enthusiast must try. It also pairs perfect with cheeses and is an ideal drizzle for salads, desserts and Greek yoghurts. Other Remarks: Forest or Honeydew honey represents the tireless work of more than just the bees. Read on why this honey is so prized in Europe for its reputed medicinal qualities and contains even more powerful antioxidants properties than honey derived from regular flower blossoms nectar: Honeydew Honey - More than the Spectacular Work of Bees. Description: 500g 100% New Zealand sourced Manuka UMF12+ by Superbee, a brand that is established since 1968, continues to be in popular demand with its highly sought-after Unique Manuka Factor (UMF®) trademark label. Packed by Superbee Honey Factory and certified with UMF License No. 2220. Superbee Manuka's loyal followers stand by its exceptional Manuka honey quality, superior texture and taste and its prestigious UMF seal as a guarantee of its medicinal strength. This honey is tested for its antibacterial activity and accredited a UMF® rating of 12+ by the Unique Manuka Factor Honey Association (UMFHA). A popular home remedy for intestinal and digestive issues, ulcers, eczema and sores. Storage Advice: Refrigerate for non-drip creamed honey. Keep at room temperature to soften honey. Other Remarks: Not all Manuka suppliers/brands are equal. UMF® ratings (10+, 12+, 15+, 20+, etc) reflect the potency of the non-peroxide antibacterial activity in bioactive manuka honey. The higher the level, the greater the anti-bacterial potency. UMF Active honey has been shown to be exceptionally effective in destroying bacteria such as helicobacter pylori (causes stomach ulcers), antibiotic resistant staphylococcus aureus and Escherichia coli (wound infecting), and streptococcus pyogenes (causes sore throats). Description: 100% New Zealand sourced Manuka honey by Superbee, a brand that is established since 1968, continues to be in popular demand with its highly sought-after Unique Manuka Factor (UMF®) trademark label. Packed by Superbee Honey Factory and certified with UMF License No. 2220. Superbee Manuka's loyal followers stand by its exceptional Manuka honey quality, superior texture and taste and its prestigious UMF seal as a guarantee of its medicinal strength. This honey is tested for its antibacterial activity and accredited a UMF® rating of 15+ by the Unique Manuka Factor Honey Association (UMFHA). Highly favoured amongst those who are looking for a home remedy for intestinal and digestive issues, ulcers, eczema and sores, this honey is also available in 1kg size. Other Remarks: Not all Manuka suppliers/brands are equal. UMF® ratings (10+, 15+, 20+, etc) reflect the potency of the non-peroxide antibacterial activity in bioactive manuka honey. The higher the level, the greater the anti-bacterial potency. UMF Active honey has been shown to be exceptionally effective in destroying bacteria such as helicobacter pylori (causes stomach ulcers), antibiotic resistant staphylococcus aureus and Escherichia coli (wound infecting), and streptococcus pyogenes (causes sore throats). Description: 1kg 100% New Zealand source Manuka UMF 15+. Packed by Superbee Honey Factory and certified with UMF License No. 2220. Superbee Manuka's loyal followers stand by its exceptional Manuka honey quality, superior texture and taste, and its prestigious UMF seal as a guarantee of its medicinal strength. This honey is tested for its antibacterial activity and accredited a UMF® rating of 15+ by the Unique Manuka Factor Honey Association (UMFHA). Highly favoured item amongst those who are looking for a home remedy for intestinal and digestive issues, ulcers, eczema and sores, this honey is also available in 500g size.